Ruth Goodman is a revered Associate at South Beach Tax & Financial Services. 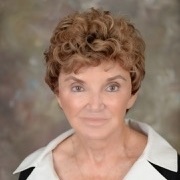 She is the grand dame of tax preparation with over forty years of experience. Ruth is a true southern lady with gregarious demeanor and grace that her clients appreciate. She has owned three tax preparation businesses throughout the south and worked with one of the “Big 6” CPA firms in America. Ruth is an active volunteer in the community. She enjoys exercising and regaling people with charming anecdotes.